This content is no longer current. 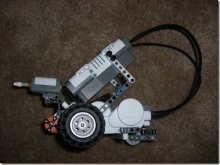 In this article, Brian Peek will demonstrate how to use his Managed Wiimote Library and Microsoft Robotics Studio to create a "Wiimote-Controlled Car". 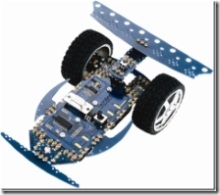 If you are a regular reader of Coding4Fun, you will probably have read my articles on creating a Managed Library for Nintendo's Wiimote and controlling an R/C Car using Microsoft Robotics Studio. I have recently updated my Wiimote Library and in the process added a brand new Microsoft Robotics Studio service (with the help of David Lee) so that the Wiimote can be integrated into MSRS projects. 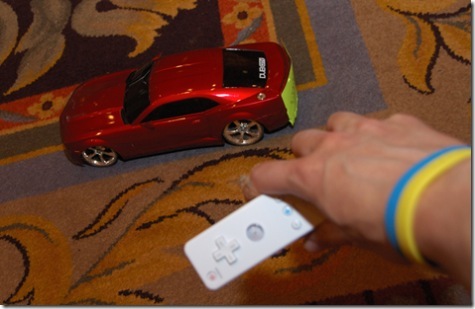 This article will demonstrate how to use this new service in conjunction with my previous article to create a Wiimote Controlled car. This project was demonstrated at both Mix 07 and Maker Faire 2007 and was a big hit in both places, so it's sure to be a hit with your friends as well. From the article on building the R/C car, please build the hardware portion that is described. This will be used exactly as it is in the existing article. 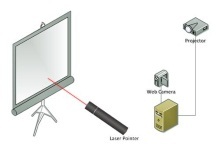 From the Wiimote article, learn how the library is used and what it's capable of. With the hardware in place and a knowledge of the library, we can begin writing the software. Once all of the software is installed, the files phidget21.dll and Phidget21.NET.dll must be copied from the \Program Files\Phidgets directory to the bin directory of your MSRS installation. If this is not done, the Phidget services will all fail to start when requested, causing you as much pain and torment as it caused me. Make sure that the Wiimote library is installed in your Robotics Studio \bin\services directory. You can do this by either loading and compiling the WiimoteMSRS project included in the original Wiimote library distribution, or by coping over the compiled Wiimote.Y2007.M06. *.dll files to the \bin\services directory by hand, all of which can also be found in the original Wiimote library distribution linked above. To start, we must first create a service for our car. 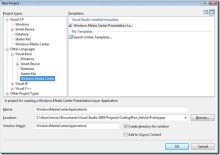 This can be done by opening the Microsoft Robotics Studio Command Prompt from the Microsoft Robotics Studio (1.0) program group on the Start menu. This will generate a folder with several items, including project and solution files. Open the generated WiimoteCar.sln file in Microsoft C# 2005 Express Edition or Microsoft Visual Basic 2005 Express Edition. You will see that several files were generated. The first thing we will need to do is access the service which controls our Phidget Interface Kit. Robotics Studio includes a built-in service for this device. To access it, first, set a reference to the PhidgetBoards.Y2006.M08.proxy and Wiimote.Y2007.M06.proxy namespaces. This can be done by right-clicking on the project name in the Solution Explorer and selecting Add Reference from the context menu. When the Add Reference dialog appears, select PhidgetBoards.Y2006.M08.proxy and Wiimote.Y2007.M06.proxy, and click the OK button. To use the contents of this library in our code, we need to import the libraries reference above. 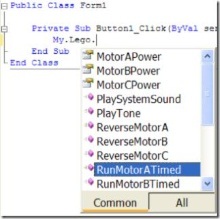 This can be done by adding the following line to the WiimoteCar class. This will subscribe to the PhidgetInterfaceKit service without requesting any notifications on events, as they will not be needed for this project. It will also subscribe to the Wiimote service asking for the WiimoteChanged event to be sent to the WiimoteChangedHandler method that will be defined below. 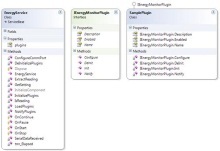 The SetOutput method creates a new SetOutputRequestType request object and fills in the appropriate Index and State. The Index refers to the index number of the relay to change, and the State property is a boolean of whether the switch should be opened or closed. 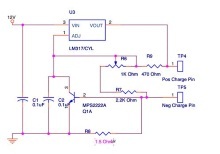 In this method, if the 1 button is pressed, the forward output is turned on. If the 2 button is pressed, the reverse output is turned on. For turning, the Y-axis accelerometer is read and if it's over a specific threshold, the left and right turn outputs are turned on. 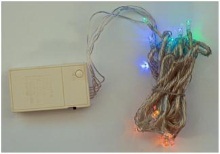 To run the project, connect the Wiimote as described in the original article above and press F5 to run this project. Hold the Wiimote horizontally so that the IR end is in your left hand and the strap end is in your right hand. The Wiimote itself should be face up and parallel to the ground. Press 1 to move forward, 2 to move in reverse, and tilt (not twist!) the Wiimote to turn the car. As long as the hardware is wired properly and the Wiimote is connected and compatible with your Bluetooth device, the car should go! 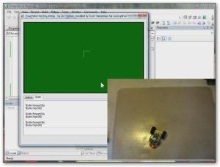 Set the forward/backward motion of the car based on the Z-axis of the Wiimote accelerometers. This way one can drive the car by tilting the controller forward and backward to move the car forward and backward. Write the application in the Robotics Studio VPL language. 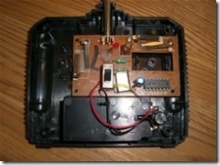 Add on the IP Camera in the original R/C car article. Brian is a Microsoft C# MVP and a recognized .NET expert with over 6 years experience developing .NET solutions, and over 9 years of professional experience architecting and developing solutions using Microsoft technologies and platforms, although he has been "coding for fun" for as long as he can remember. Outside the world of .NET and business applications, Brian enjoys developing both hardware and software projects in the areas of gaming, robotics, and whatever else strikes his fancy for the next ten minutes. He rarely passes up an opportunity to dive into a C/C++ or assembly language project. You can reach Brian via his blog at http://www.brianpeek.com/. two of the software links are broken, how can I get that software? 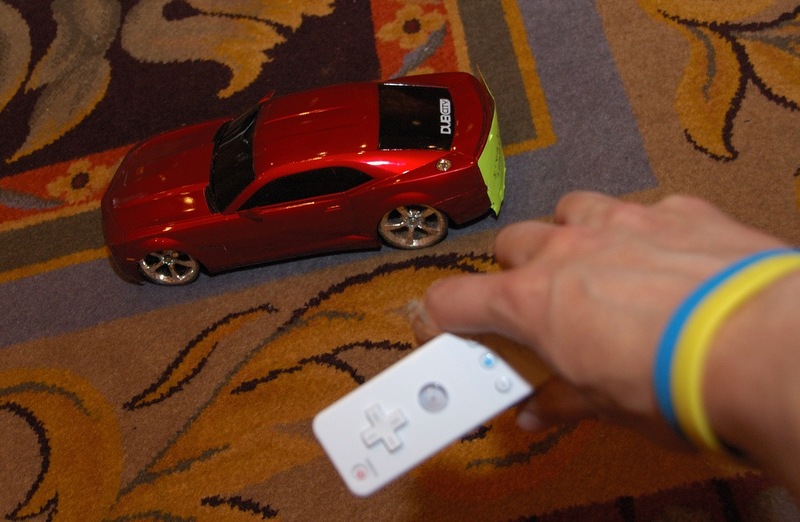 I want to control using my wiimote a robot in virtual environment. Could someone help me please? @johnc_glro all depends on how you want to do this and what you're running.